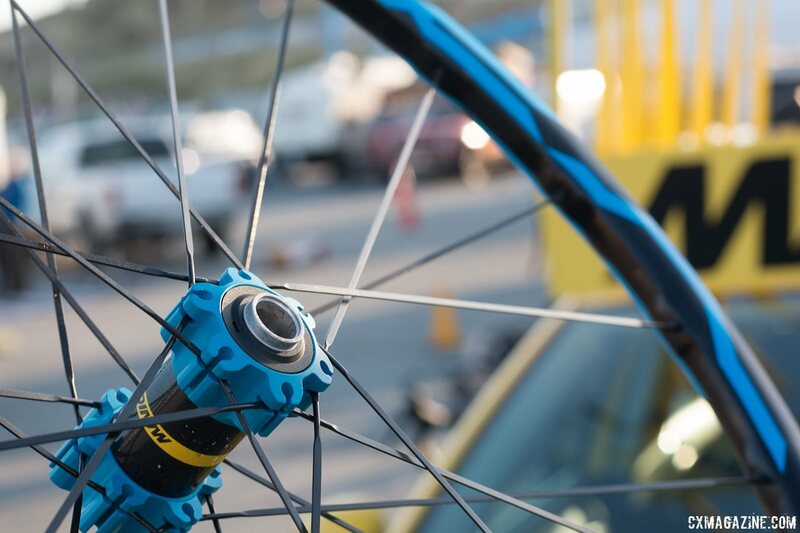 At Sea Otter this year, Mavic had a unique presence, drawing journalists out to the campground in the Laguna Seca racetrack paddocks with the lure of evening barbecue and morning pastries, instead of a booth in the public expo. Without a formal presentation or display of the entire product line, the casual format and setting let you poke around the tent to see what might be interesting, not all that different from hunting for bargains at a swap meet. What we found was a new tubeless mountain wheelset that just might be perfect for cyclocross and gravel, and a rim of familiar name that has taken a quantum leap to be current with the times. France’s Mavic could be considered conservative when it comes to adhering to ETRTO standards and maximum rim widths for intended tire widths, but that doesn’t mean consumers need to do the same. Its new XA Elite Trail wheelset, which retails for just $750 and weighs 1770g in 700c/29er diameter, is 25mm internally wide, and looks to be a fine choice for tubeless cyclocross and gravel riding. 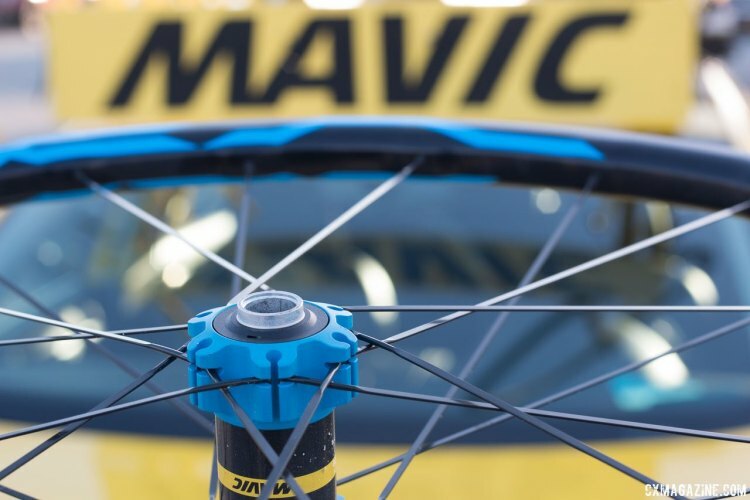 The rim boasts Mavic’s UST tubeless shape and bead with a substantial shoulder to keep the tire’s bead from dropping into the center channel. 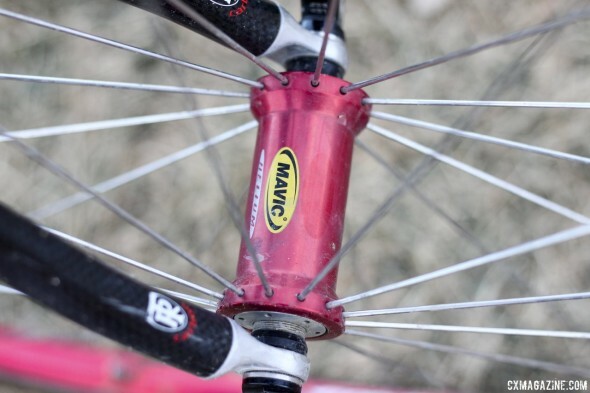 The rim relies Maxtal alloy and uses Mavic’s SUP welded construction. Internally, the rim is not sealed like top Ksyrium or Cross Max rims, but comes with Mavic tubeless tape. 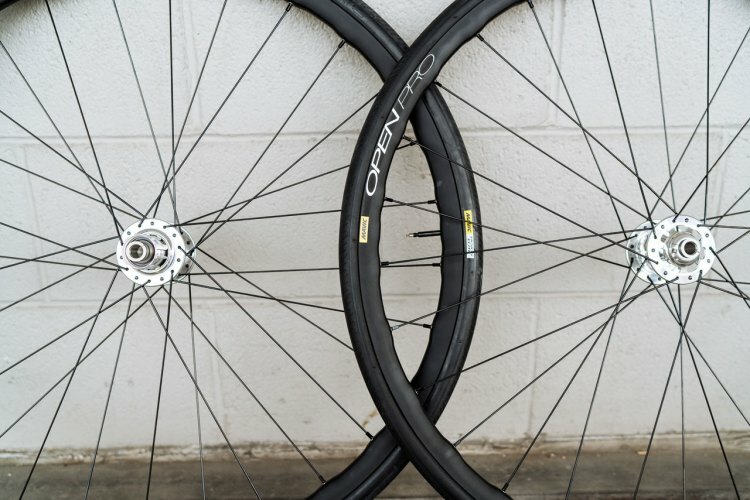 Externally, the rim takes some design cues from some of Mavic’s other rims, like the Ksyrium Pro Disc All Road, with a shaped, wavy appearance that reveals an effort to concentrate material in areas of stress. Aqua blue is one of the hot colors for the year, and Mavic’s XA Elite blue option makes sure your new wheels match your new ride and kit. Not a fan of looking trendy? There also a green hub/logo option, along with a hard-to-clash all-black. The wheelset, at $750 MSRP, packs a lot into one box. It comes with QR and thru axles adaptors to make it easy to swap between bikes. Internal cam quick releases are also included—an underappreciated value that could save you from a crash. 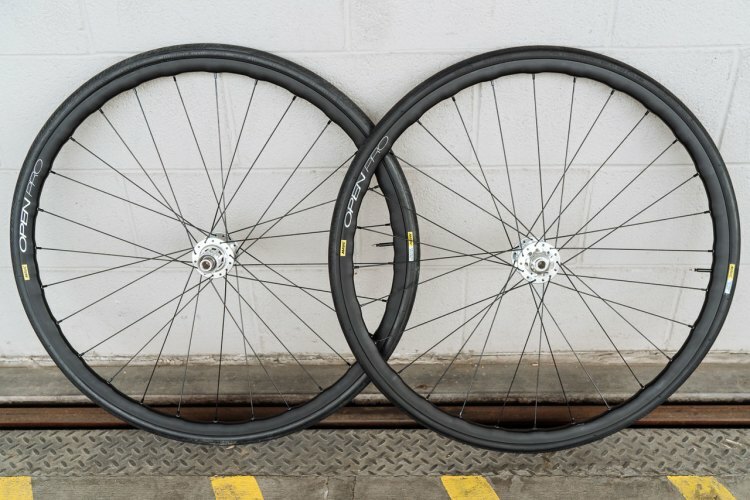 There’s also tubeless tape, Mavic sealant, tubeless UST valves, and whether you’ll use them or eBay them, 2.35″ wide Mavic CrossMax Quest 127 tpi tires. The tires represent Mavic’s attempt to offer a complete system to customers, and by controlling every aspect of the tubeless system, knows it is offering a supremely reliable setup. However, for many of our readers who are looking for gravel or cyclocross wheels, the tires may represent an unnecessary expense, despite being a $100+ value. The company acknowledged this is one drawback of its product philosophy (tread being geography-dependent and a personal choice being another), and hinted that the business model might change, but in the meantime, a friend or Internet consumer can also benefit from your wheel system purchase if you don’t need the tires for your next monster cross build. Stay tuned as we hope to put a set to the test. The other offering Mavic had around its campground surprised us at least in naming. First seen at NAHBS, but hiding among more brightly colored footwear offerings was a new incarnation of the Open Pro rim, coming soon. Just hearing the Open Pro name brings back memories of hand-built wheels and complaints of undersized tires. 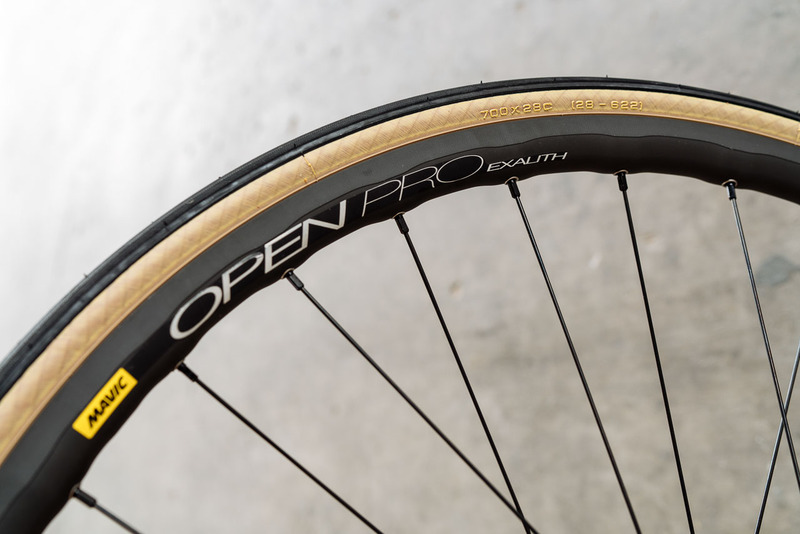 In our early days, we tested many clincher tires on the 13mm internal width Open Pro hoops, and such tests left us complaining how every company lied in their tire width markings. Now we’re riding rims more than double in width, and enjoying bigger-than-UCI-regulation tire volume. 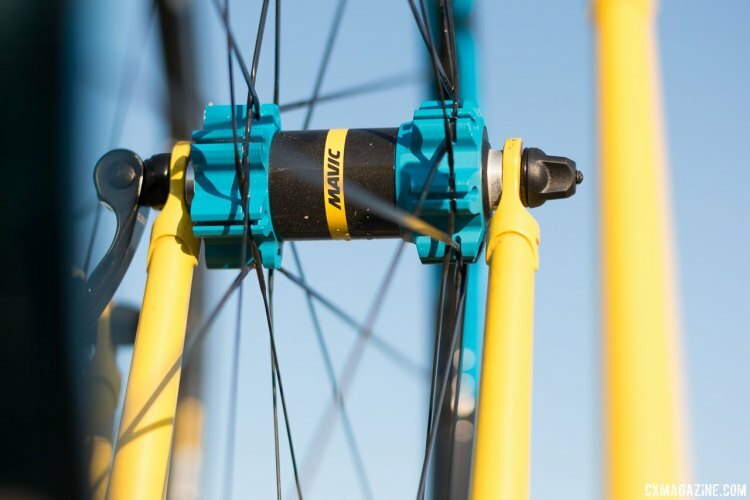 Mavic has a history of adopting new rim names with each iteration of changes. Some might remember the company shifting from the early Open 4 to the Reflex and then to the Open Pro (and later the Open Sport) as rims gained machined brake tracks, welded construction and spoke hole reinforcement, but the Open Pro had staying power and a reputation for reliability and thus deserved a long-overdue update that should have wheel builders singing true. The new rim dives headfirst into modern day technology and trends. The fattest gain, no pun intended, is a nearly 50% increase in internal width, moving from 13mm to 19mm. 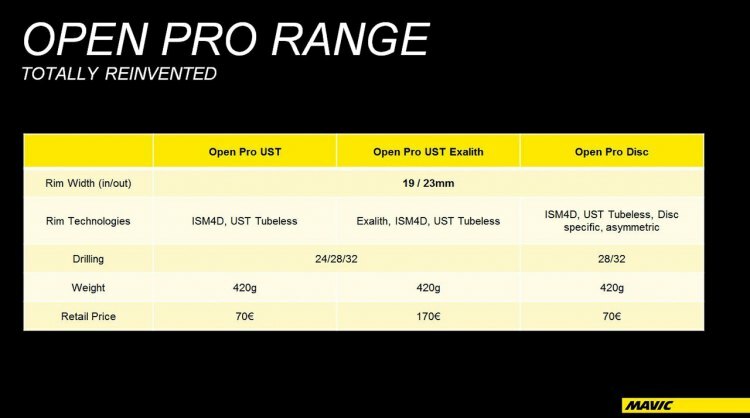 Such a shift may be most appreciated by tubeless cyclocross and gravel cyclists, who are in luck because the new Open Pro inherits Mavic’s UST tubeless technology from its mountain bike rims, and should be both high pressure (road) and low pressure tubeless compatible. We’re looking forward to testing it in both uses, as past experience with Shimano Road Tubeless rims proves that doing both well is challenging, although the Ksyrium Pro Disc All Road has proven capable. Going wide and embracing tubeless was essential, but with so many drop bar bikes now featuring disc brakes, Mavic couldn’t ignore that market either. The Open Pro now has an asymmetrical disc brake option to open up the possibilities for the rotor grabbers. Already have a hub in mind? There are three drilling options, with 24, 28 and 32 hole versions. Not everything is new, however. The rim still uses Mavic’s S.U.P. welding to join the extrusion, and for rim brake cyclists, keeps the UB Control machined brake track. Miss the ceramic brake track option of the Open Pro that increased sidewall life at the expense of brake pads (not to be confused by CD anodizing)? The exact same treatment is no longer available, but Mavic has found a newer treatment it calls Exalith that offers extended brake track life, and comes with its own dedicated brake pads. Think tubeless tech and increased rim width come at a cost? You’re, right, as the rims aren’t free, but there appears to be no weight penalty. While Mavic cites the previous generation Open Pro as a sub 400g rim, our last experience with it had it pushing 435g. 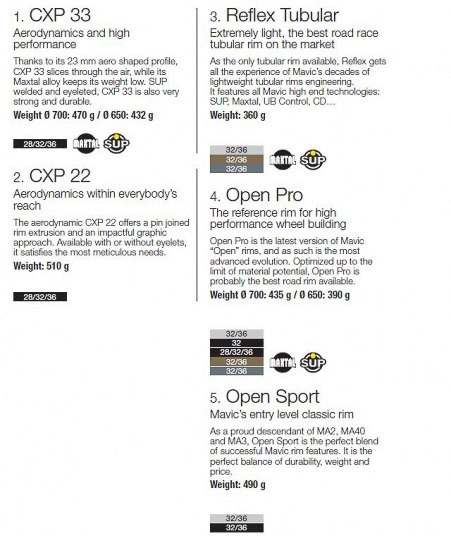 Specs of old Mavic rims, including the 13mm internal-width Open Pro rim. The latest incarnation tips the scales at 420g list weight for the disc version, while the UB and Exalith options remain the same at 435g. That’s impressive given the dramatically increased width. As for the true cost? We’re not so sure, as calculating externalities is complicated, but if you’ve got 70 euros ($99.95 U.S. MSRP), you’ve got yourself a new Open Pro hoop in rim brake or disc brake configuration. Want the extended life brake track? That’ll require 100 more euros ($80 more, or $179.95 total), and some more complicated calculations with time/value/risk/inconvenience/labor/brake pad cost assumptions to gauge whether the premium is worth it to you. Decades ago, Mavic ironically endangered the custom wheel building market with the launch of its iconic Helium wheelset, but the company remains committed to serving that neglected segment. 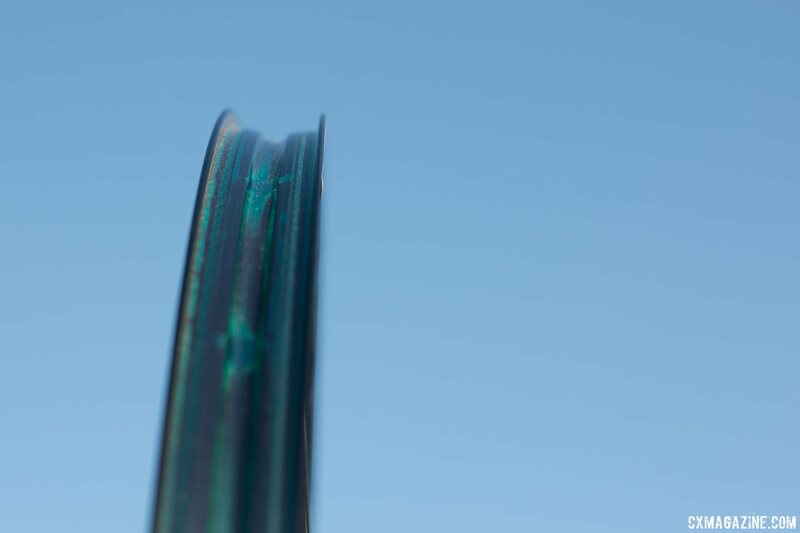 There aren’t many rim choices for wheel builders today, with a few alloy options from Easton, Velocity and WTB, among others. 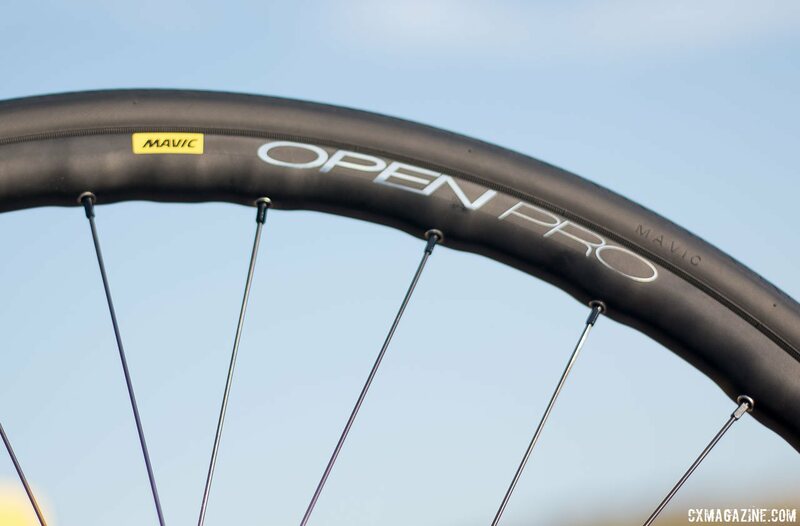 Now Mavic has another for a compelling option for road, cyclocross and gravel riders with the Open Pro. 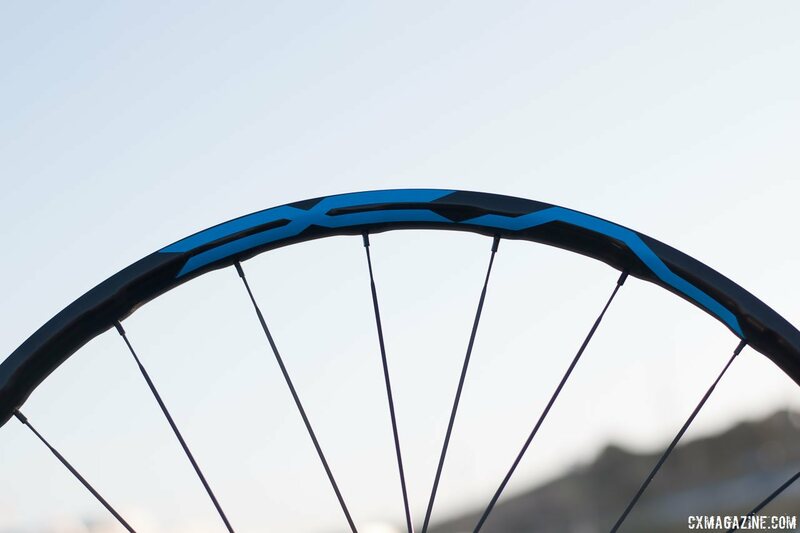 See our full photo gallery of the XA Elite wheelset and Open Pro rim below. Y’all forgot Pacenti in your short list of rims for the wheelbuilders. Or H Plus Son and DT Swiss!